And happy you should be! What an awesome, thoughtful response from the recipient. And what better way to make you feel good! The card is wonderful. 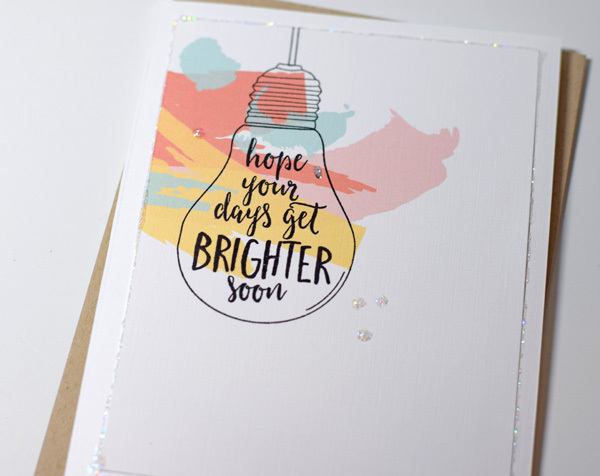 It always brightens my day to get a card or letter - or both! - in the mail. That stamp is perfect for sending a card just any old time. 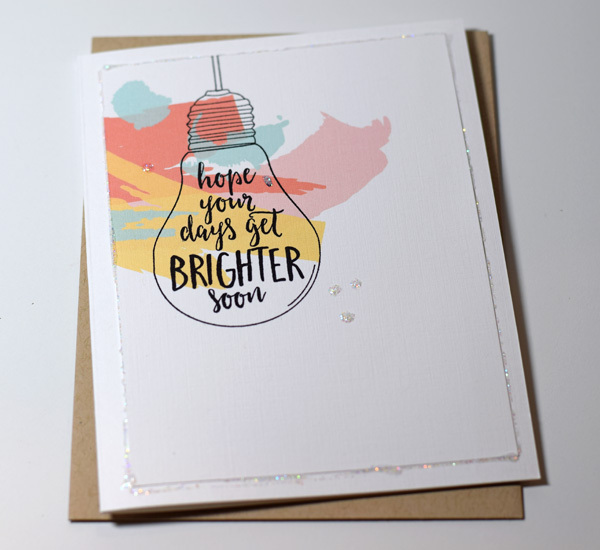 It looks like you've been watching Julie Ebersole's videos - I love the stickles around the edge of the card front. Thank you! Yes I watch all of Julie's videos and got the idea to add the Stickles from her. She is amazing!! Joan, you are absolutely right! What IF we made a point to do this more often? As you said, its not so much the card as the thoughtfulness behind it...THE MAILING of the card. DO IT rather than THINKING of doing it! Thanks for the reminder and today I am going to DO IT! awesome Joan! Exactly what a card is for! Yes, I agree. Make 'em and mail 'em. This one would surely have the desired effect.